Pelicans should stand tall and be proud of Harold for this most appropriate recognition and designation, an endowed scholarship in his name. This is something which comes about after one has earned the highest respect in their field of endeavor, accompanied with a tenure of service that is worthy of such a designation. Your assistance is needed so the scholarship can become a reality. Please donate and help spread the word to other Pelicans and Panthers. The goal is to establish an endowment of sufficient size so that the interest from the endowment can be used to help defray the academic expenses of pursuing a college degree. The scholarship will be made available to any qualified student majoring in some phase of agricultural science at McNeese. Perhaps you have an association with a company or groups/individuals who would want to be contacted to support such a worthy cause. No amount will be considered insignificant and donations can add up quickly…so please help now. Footnote by Ed Dugas. Harold attended Evergreen High School grades 1-11. When the school burned down (click here www.evergreenla.org/PhotoGallery/School/1950-1959/Images/EHS Fire.jpg ) > Harold is in the FFA Jacket to the left – he attended Bunkie High School his senior year and graduated in 1959. He is number 35 in the picture of the EHS boys basketball team. for Harold’s military page and obtain wonderful information on his exemplary life. 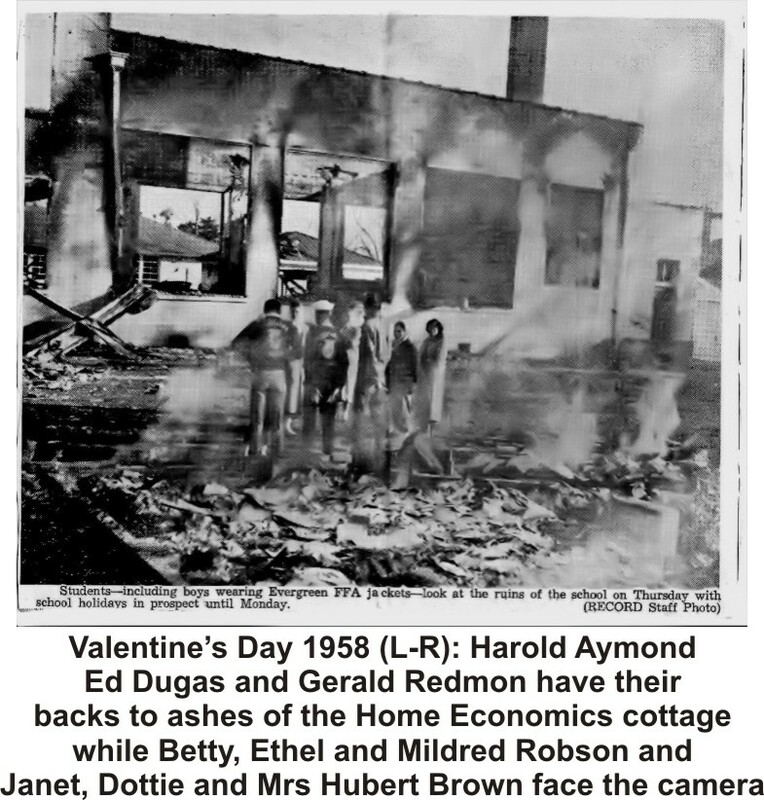 for the Memorial Page for his parents – Cliff Aymond and Lena Galland Aymond – who resided in Rabbit Lane. After earning his doctorate from LSU in 1972, he taught Agriculture at McNeese for 33 years until his retirement.